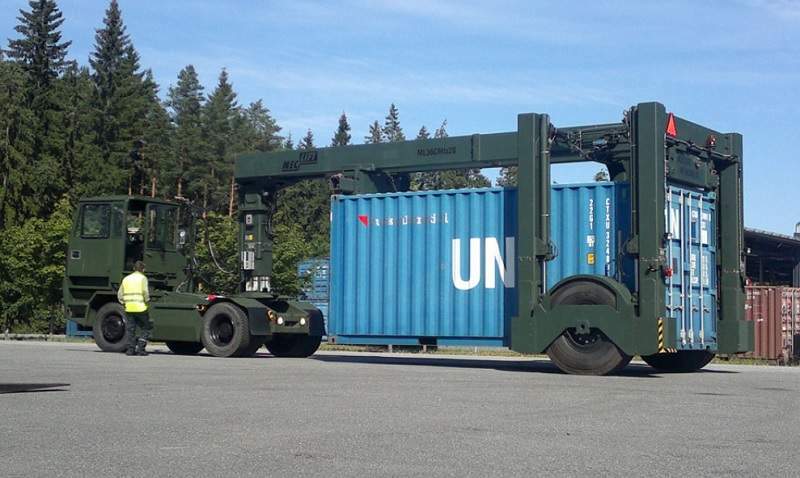 It efficiently moves containers between locations and lifts them on and off normal highway chassis. It fits trough narrow terminal doors, and under bridges in road traffic. Meclift™ ML36CMfx20 is powered by the terminal tractor’s hydraulics. Height can be raised and lowered for loading and unloading containers on trailers or on the ground. The front and rear twist-locks can be separately adjusted sideways to grip the container.